50th birthday cards designed especially for this milestone occasion often become precious keepsakes. Specially chosen cards often speak clearly the words we sometimes have difficulty saying. One of the reasons birthday cards can be so special is because they are so personal. Choose the card that perfectly fits your Honoree and the relationship that you enjoy. 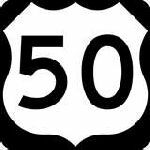 Many guests will elect to bring 50th birthday cards, which poses the question of what to do with all those cards. There are a multitude of imaginative and easy to recreate card collecting ideas that are as special as the verses and words inside. Displaying 50th birthday cards in a creative way instantly conjures up a party atmosphere. 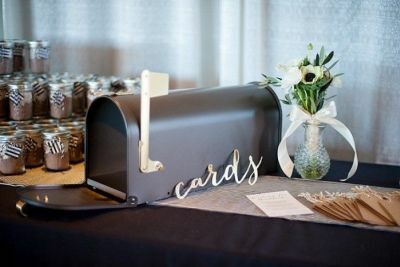 This colorful card box is the perfect drop off spot for guests bearing birthday cards. 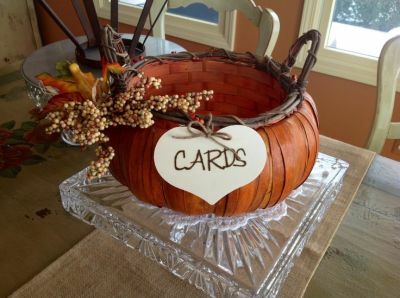 At the end of the party, your Honoree has a decorative box to store cards. 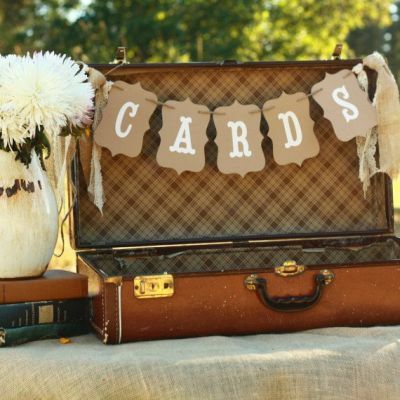 Upon arrival, guests can pin their cards to this easy DIY card banner. 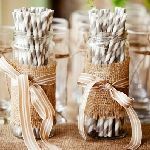 We love the decorative touches of the clothespins, adding color and interest to the burlap. 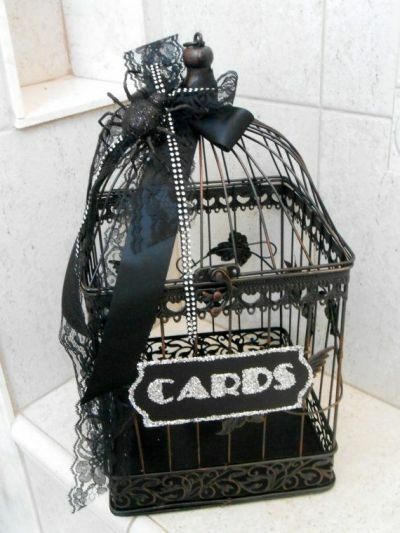 A black bird cage is a great way to incorporate the 50th birthday theme into your card holder. 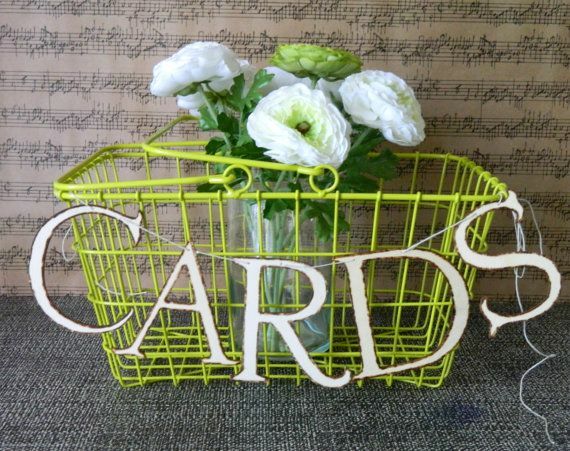 Despairing details emphasize over-the-hill, while the cage openly shows off the birthday cards. Increase the visual impact of birthday cards by hanging them up for everyone to see. It's hard to imagine a statement decoration that is less expensive, more dramatic, and can easily be customized to fit any space. 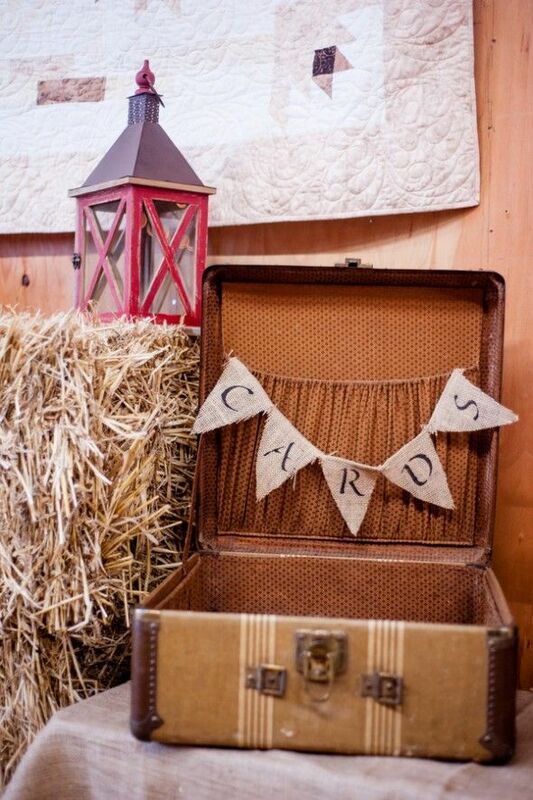 A vintage suitcase is an eye catching focal point, especially when piled high with birthday cards. Old fashioned blooms or a customized banner complete the nostalgic look perfectly. Let the familiar presence of a mailbox greet guests with birthday cards in hand. 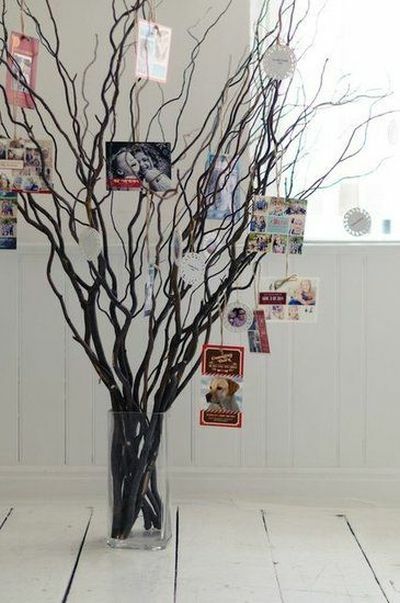 This is such an easy way to make 50th birthday cards part of the party decor. 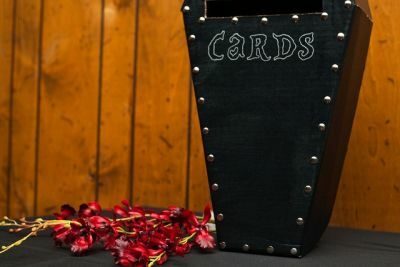 Try a light-hearted approach with this playful card collecting idea, which resembles a coffin. Such an appropriate way to celebrate the passing of youth. When the decorative scheme is plain and pale, it is a good idea to add visual interest in other ways. Here, the banner assumes more importance in the neutral scheme and prevents the display from becoming boring. 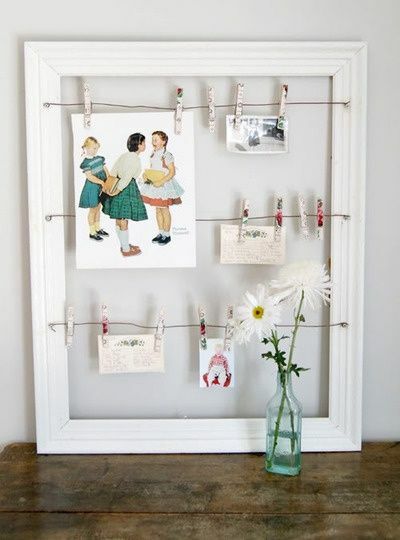 This is a great idea for repurposing old frames. 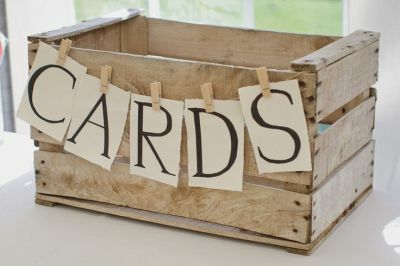 Attach birthday cards to wire with decorative clothespins. Let the season of the birthday become part of the theme. 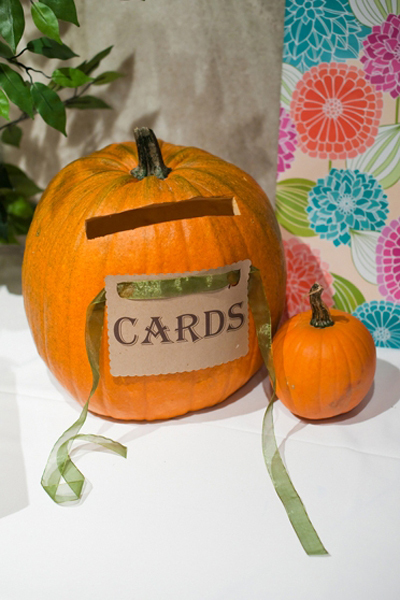 This pumpkin card holder is a reflection of autumn colors and pumpkins, glorious signs of the season. Taking your party outside? 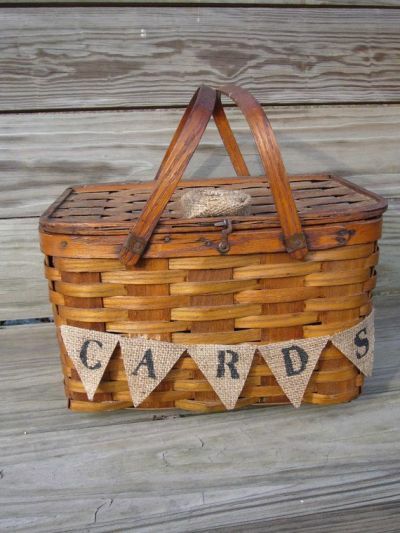 A picnic basket is an excellent drop off spot for birthday cards when celebrating outdoors. The simple burlap banner is the natural go-to for a casual, rustic event. Create a quaint old-world feel by using distressed shutters. 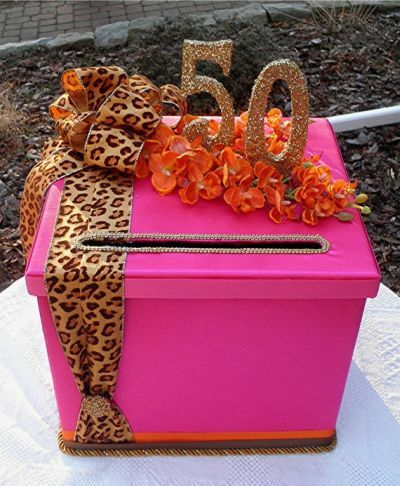 It's a great way to incorporate your color scheme, all the while showcasing 50th birthday cards. Give the gift that keeps on giving. Coordinate with family members, friends, or coworkers to send fifty e-cards on this special day. 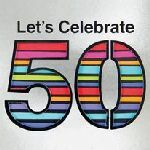 Share some smiles and laughs as you flood the Honoree with 50th birthday greetings. Make birthday cards even better by enclosing a gift card. Email delivery of gift cards is a convenient, easy option.